Why MBA is not worth? MBA is not as cheap as other courses. The tuition fees currently being charged for MBA both in India and outside India is hefty and even after economic meltdown it is increasing. In US the tuition and hostel fees in continuously increasing from 1973. In India also, most of the older IIMs have increased their fees 3 to 4 times. But with such heavy fees, most of the prestigious colleges offer financial aids and scholarships. In India every IIM has financial aids up to 100% ready for students who belong to economically backward class. Other than tuition fees and other cost of doing an MBA there is also an implicit cost associated with doing an MBA i.e. loss of job benefits, the financial and career opportunities lost in 2 years of doing an MBA. But this loss is offset by the pay hike. Official GMAT website claims that on an average MBA aspirants can expect 55% increase in their salary, whatever they were getting before doing MBA. The stress you go through during 2 grueling years cannot be measured in money. There is no work life balance, you don’t have time for your personal relationships. The only things you end up doing is Group assignments, giving exams and pre reads for next class. High level of competition can also leave destroy one’s self confidence. Every MBA student has a dream deep inside his heart of becoming CEO of some reputed company. It is really exciting for an MBA student to know that out of 500 fortune companies 200 companies have MBA graduates as their CEO. The most important benefit which MBA on resume provides a candidate are the exciting career opportunities. For a successful career, your starting in corporate world is of prime importance. This is the reason why many fresher prefer MBA over lucrative job offer. The graph below shows the domain in which currently IIM A alums are working. 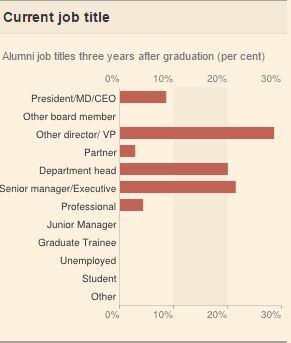 These graphs clearly show that doing an MBA can prove to be a great asset and can land you C-levels of corporate executives. Doing an MBA also provides you a diverse set of domains to choose from. MBA pass outs get a wide array of roles in senior and middle level managers in diverse industries to choose from. The other most important benefit which an MBA degree provides is the pay hike. 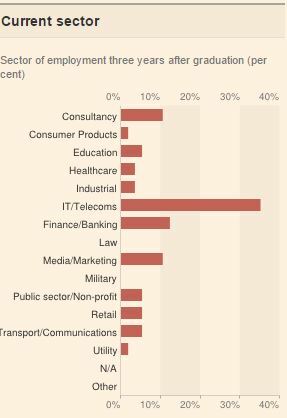 According to financial times survey an IIM A graduate gets a pay hike of 140%. For foreign B-schools such as HBS it is 122%. The table below shows the ROI of different class of business school. This table was presented in GMAC survey of 2013. MBA’s are best known for the network which you develop in 2 years. It is even said in many HBR articles that networking is most important trait of a successful manager. Most of the top B-schools have large alumni base which help graduates of these colleges to excel in real world. One more benefit which comes with an MBA degree is high level of employability. Doing an MBA increase your probability of securing a good job. Along with all these monetary benefits comes a pride of holding an MBA degree from a prestigious institute. The knowledge which you get, the personality development which happens in 2 years of MBA, the self-confidence and survival skills which it develops contribute a lot to success of an individual. 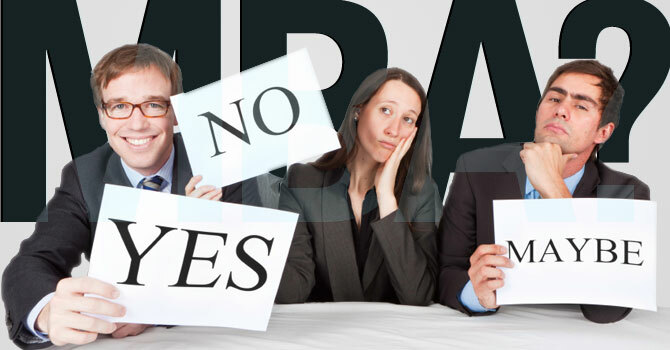 Though the criticism of MBA has been galloping in recent years. But with financial turmoil in world economy one cannot expect MBA grads to be unaffected, it is simple play of demand and supply. However the knowledge base and benefits provided by an MBA degree cannot be compared with any other course which we have in our current education system. MBA is by-far the best course which anyone who aspires of a successful corporate life can do. MBA is not just a degree, it teaches you the how to manage your life in a much better way. The experience and the learning which it provides cannot be priced. I am an IPM participant of IIM Indore currently pursuing first year of MBA. During my last 4 years in IIM Indore I have got deep insights of how things work in an MBA college and have a gained a lot of knowledge. I would not have got such a wonderful experience if i would have joined any other course.